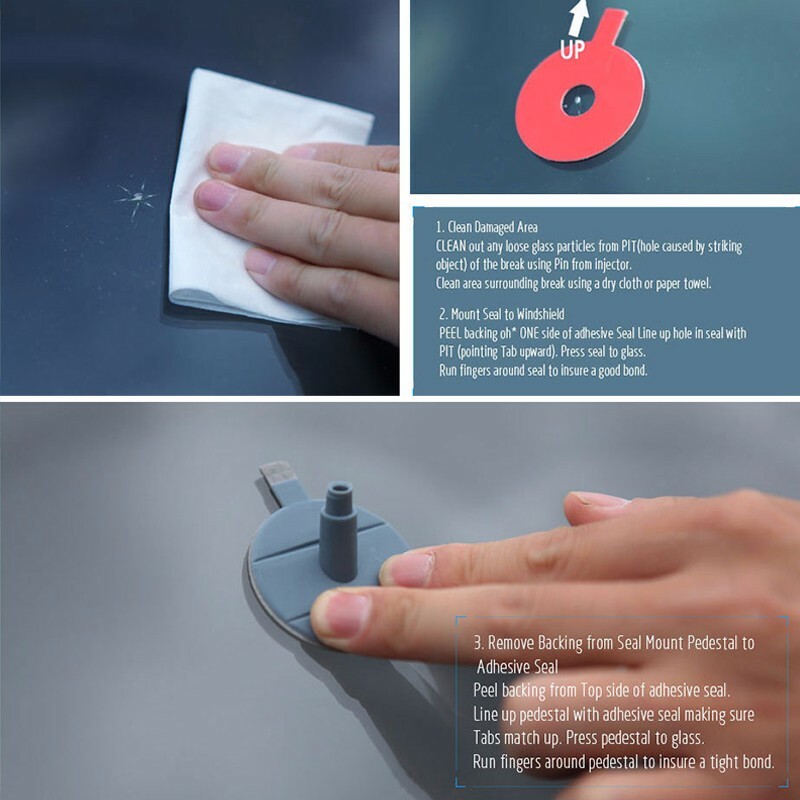 Single ingredient – eliminates mixing. 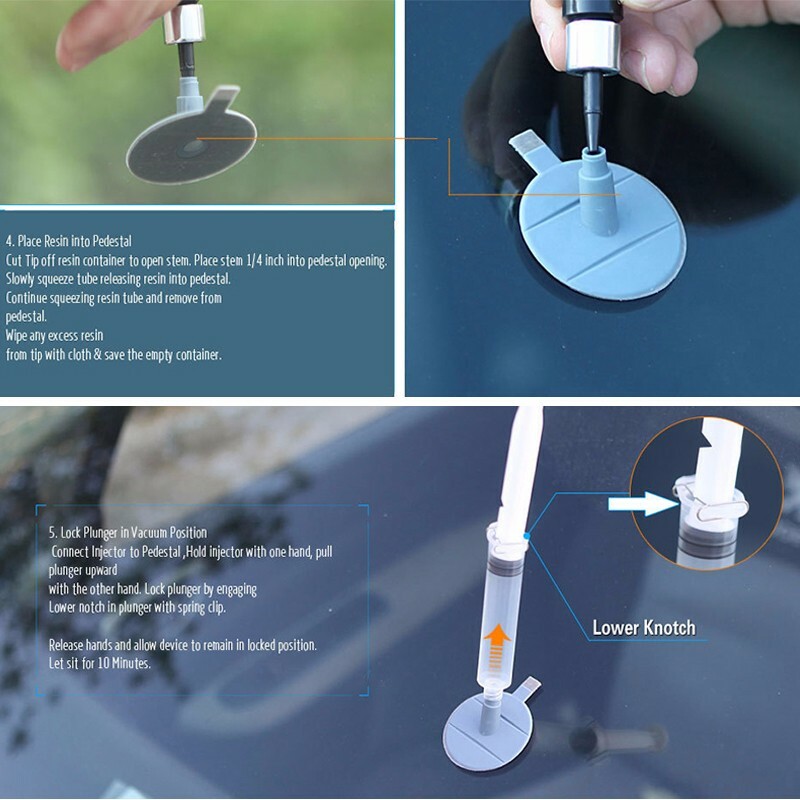 DIY windshield repair kit is designed to fill the air cavity with a strong penetrating adhesive that will bond the loose glass and restore the visibility. 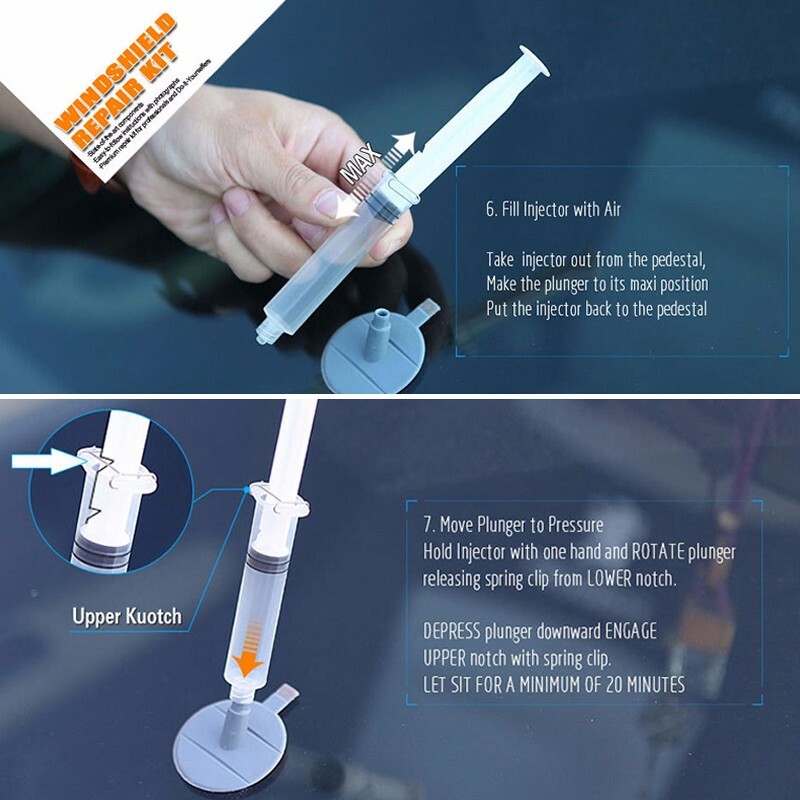 The patented design evacuates the air to fill the cavities with specially formulated liquid glass,that distortion and bonds the loose glass preventing the damage from spreading. Avoid using in direct sunlight-work in shaded area. Do not work on a hot windshield, park vehicle in shaded area and open for windows to cool glass surface. A safety razor is required to remove components and finsh repair. 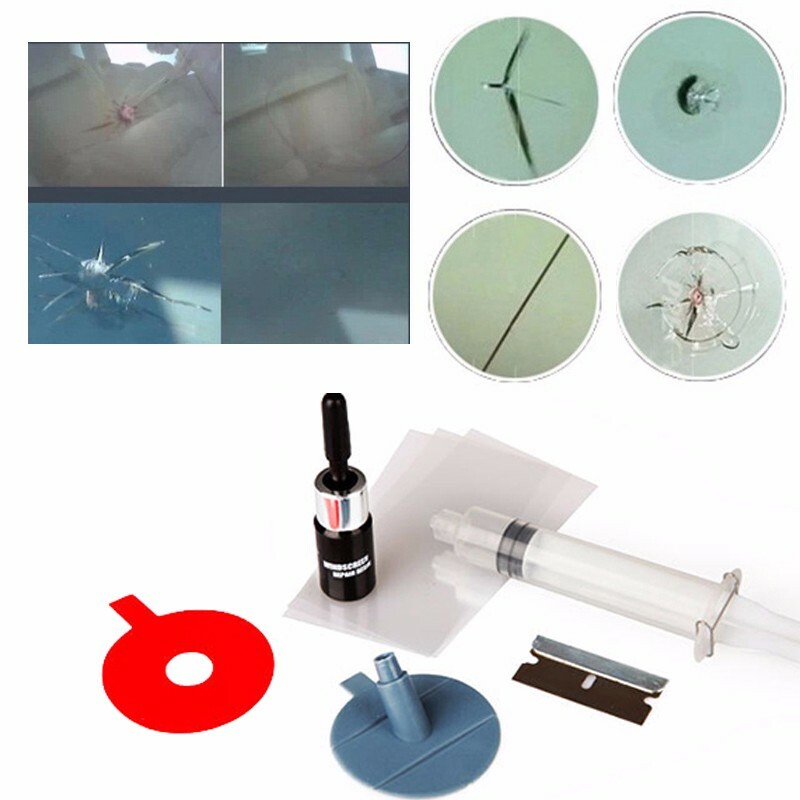 Do not let resin come in contact with painted surfaces.